The outcome of last night’s game really didn’t matter once Yoenis Cespedes came out with a hamstring injury. He said he felt a mysterious “shock” in his hamstring, and now he’s going to get an MRI. His injury comes one day after Lucas Duda and Travis d’Arnaud left a game with a hyperextended elbow and bruised wrist respectively. I also read that Wilmer Flores was being treated for “an infection.” A mystery infection?!? And today Jacob deGrom was scratched from his start with a stiff neck. METS disease is really sweeping through the clubhouse. Sometimes the disease leads to a player mysteriously losing his skills overnight. And sometimes it just leads to a plague of injuries. This time it’s hitting us hard and just in time for the big April series against the Nationals. Great. Playing Short: The Mets basically had a two man bench last night. At one point Rene Rivera and Travis d’Arnaud were the backups at every position. The league implemented the 10 Day DL so teams could avoid situations like last night. 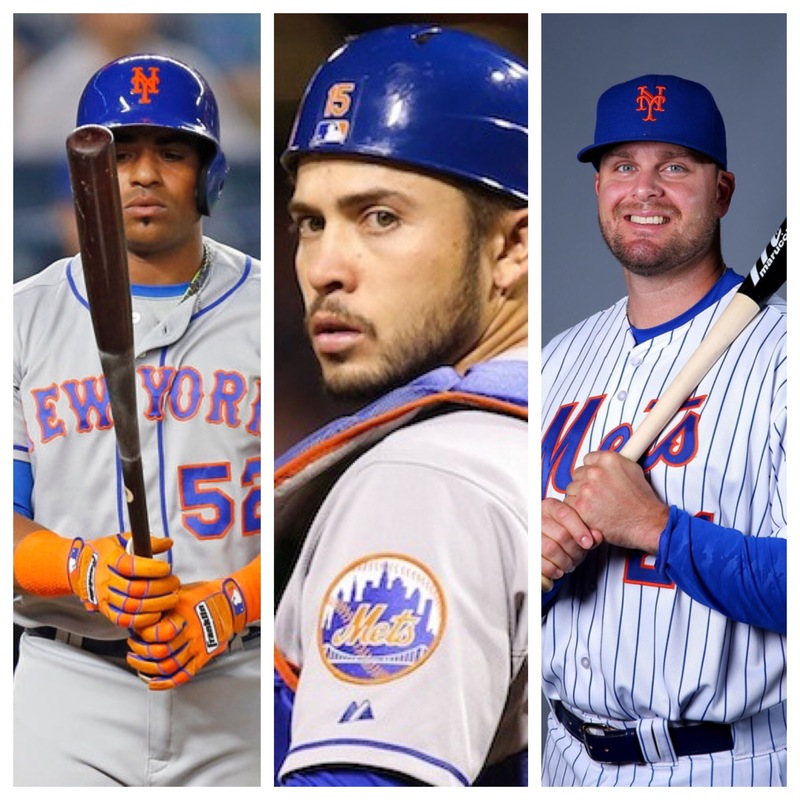 Somehow the Mets still find a way to put their roster in the worst possible situation. Screw The Game: Dropping the rubber game of a three game set at home against the worst team in your division with your ace on the mound is about as embarrassing and pathetic as it gets. It doesn’t matter if it’s April or September. Regular season losses don’t get much worse than this one. The game was filled with the same horrible baseball we’ve been watching this club play since Opening Day (but especially lately). The Phillies scored three runs in the second inning. In large part the runs were scored because Thor allowed a stolen base, he threw a wild pitch, and Jay Bruce made an error at first base. No that’s not a typo. Bruce was at first base due to all the injuries. Also the error wasn’t really his fault. He made a throw over to first base after fielding a ball, and Thor/Walker failed to cover the base. In the third inning a hit by pitch and another error led to two more Phillies runs to make it 5-1. Neil Walker teased us in the bottom of third inning by hitting a three run homer and bringing the Mets within one run. But the offense didn’t do much else. Terry turned to dead arm Fernando Salas in the 8th inning, and he yielded an insurance run on a homer. He gave up three hits and failed to retire one batter. His arm is finished in April. Thank God For Him: In his worst start of the season Noah Syndergaard pitched 7 innings, gave up 5 runs (3 ER) on 7 hits with 10 Ks and no walks. He was hitting 99 and 100 MPH consistently. He’s a monster. Have Nats Number: It feels like the Mets getting swept by the Nationals is an absolute lock at the moment. From injuries to errors to lackluster offense, everything is going wrong for this team right now. I’m just hoping we inexplicably have the Nats number this year. Total pipe dream. Just Make The Video Tribute Already: David Wright was transferred to the 60 day DL. I feel like Wright is going to play one farewell game in September, get a video tribute, and then retire. I’m not joking at all. Honestly we’ll be lucky if we even get to watch him for one game in September. Today: The Nationals come to town. This series is going to get ugly. At least I have Max Scherzer in my fantasy league. That’s a guaranteed shutout.